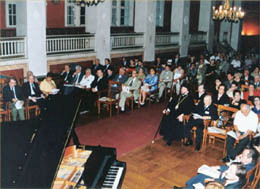 Athens - Greece, October 12-14, 2001. IASL has taken part in the organization of the 2nd Panhellenic Sports Law Congress, October 12-14, 2001 Athens, Greece. The topic of the Congress was "Sports Legal Order: Negative Phenomena in Sports and Sports Ethics". 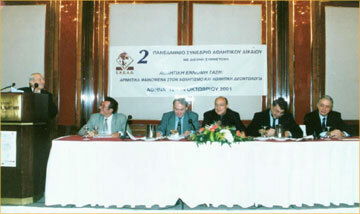 The main organizer of the Congress was the Hellenic Research Center of Sports Law (ekead@iasl.org). a. The law in national and international sports activities. b. Applicable law and judicial responsibility in sport. b. The Law in Coaching and fighting procedure of Athletes.